Home Tags Articles tagged with "Governor"
Gov. 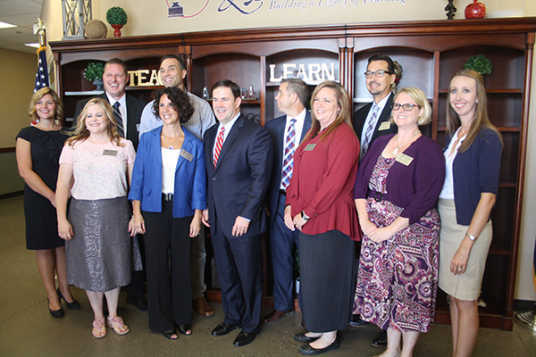 Doug Ducey highlighted a major project in Maricopa during a Friday morning networking event in Casa Grande. 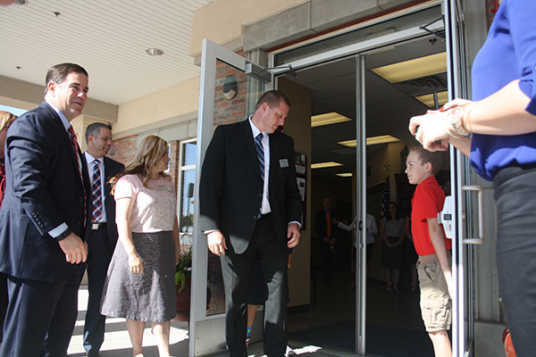 The discussion happened at The Property Conference Center June 1. 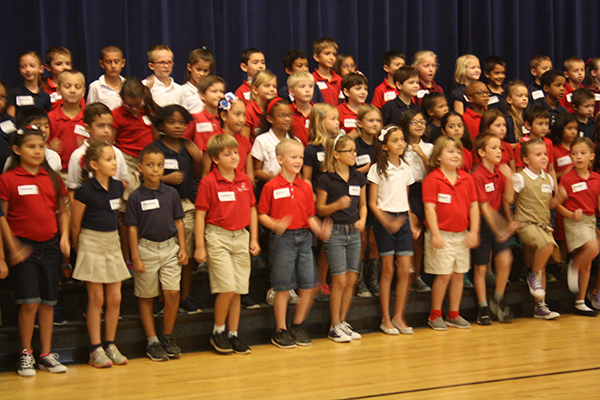 The event was hosted by Pinal Partnership. Ducey said he wants to bring “commitment for resources” toward infrastructure projects in the region like Maricopa’s future State Route 347 overpass. The $55 million project was partially funded from the city, the Arizona Department of Transportation and a $15 million TIGER grant. The grade-separation is projected to transport motorists over the Union Pacific Railroad by 2019. Ducey’s half-hour long speech touted legislative actions at the state level. On the top of the list were tax cuts and 160,000 new private sector jobs in Arizona since 2015, according to the governor. 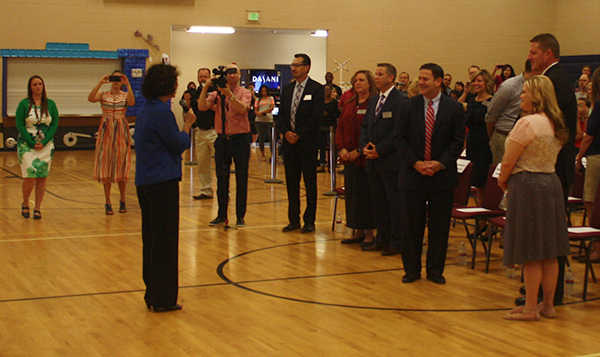 “The last time unemployment was this low, you were renting your movies at Blockbuster,” Ducey said. Education spending was also considered a victory. 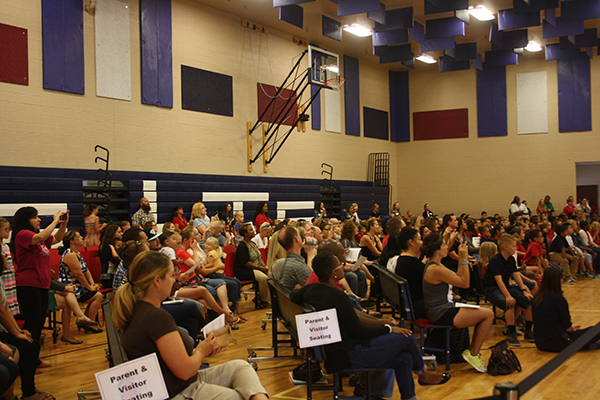 Ducey approved funding for a 20 percent salary increase for teachers last month. 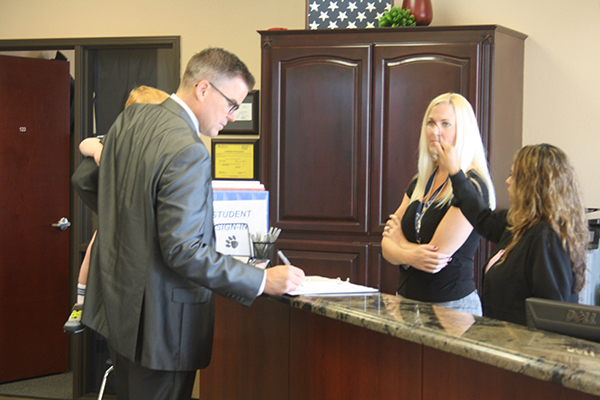 One percent of that figure was dispersed to districts last school year. 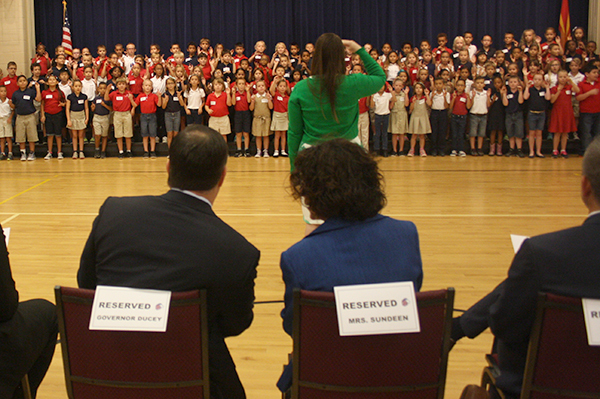 “We just finished one of the most significant Legislative sessions in our state’s history. 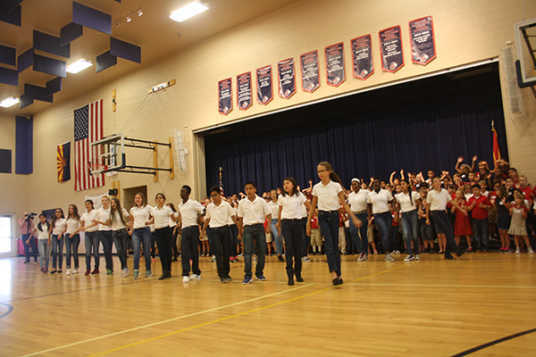 These are teachers that have earned this pay increase and they deserve it because Arizona children are improving faster in math and reading than any other kids in the country,” Ducey said. Arizona is working to combat its challenges, according to its highest elected official. Ducey outlined the state’s plan to combat the opioid addiction crisis that has stricken most of the country. Tackling Arizona’s portion of the nation’s border security is an issue Ducey said requires a careful balance. While combating human trafficking, drug cartels and illegal immigration at the Mexico border, Ducey said keeping a positive relationship with Arizona’s No. 1 trade partner is also priority. “I don’t want to see us build a wall around the economy,” he said. After as little as one week of consistent use, the body can develop a physical dependency on opioids. The reality Ducey is confronting with his declaration is one where, according to the Center for Disease Control, 91 Americans are dying every day from an opioid-related overdose, two of which are Arizonans. A recently completed study by the Arizona Department of Health Services shows the city of Maricopa and its surrounding area has managed to largely avoid this deadly affliction, seeing between 8-12 opioid-related deaths per 100,000 people in 2016. For comparison, the report says, that same year the Salt River Pima-Maricopa Indian Community saw between 37-60 opioid-related deaths per 100,000 people. “We are fortunately behind the curve, and we want to stay behind the curve,” Maricopa Police Chief Steve Stahl said Aug. 10 at an MPD presentation on opioid abuse. To remain in this lightly affected position, Stahl said it’s important for the community to understand the roots of this “epidemic” to better identify and prevent opioid abuse. According to the AZDHS report, the number of opioid-related deaths in Arizona have increased by almost 75 percent in the last five years. Two major factors have been identified by the AZDHS as the likely causes for the increased number of overdoses. The first factor they consider is the dramatically disproportionate consumption of prescription painkillers (analgesics) seen in the United States compared to the rest of the world. The Center for Disease Control estimates as much as 80 percent of heroin users start on prescription pain killers, which some think may be too loosely prescribed. Often, people are given 30-day prescriptions of opioid painkillers like Percocet (oxycodone) or Vicodin (hydrocodone) for routine procedures such as having wisdom teeth removed, or for minor sports injuries. This excessive dosing can prove to be problematic. After as little as one week of consistent use, the body can develop a physical dependency on opioids, according to CDC. Patients using opioids only a week are 14 percent more likely to be using the drug a year later. Patients using opioids for only a month are 30 percent more likely to be using opioids a year later. Additionally, with prolonged use, the pain-killing effect of opioids is often lessened, causing the user to seek higher doses and/or stronger forms of the drug. When users are no longer physically satisfied with their prescribed dose, or they suddenly find themselves unable to afford the sometimes-costly prescription drugs, they turn to the streets for the stronger and often cheaper heroin and its derivatives. One of the easiest and most impactful solutions lawmakers are suggesting is to limit the amount of pain medication patients are initially prescribed. In 2016 Gov. 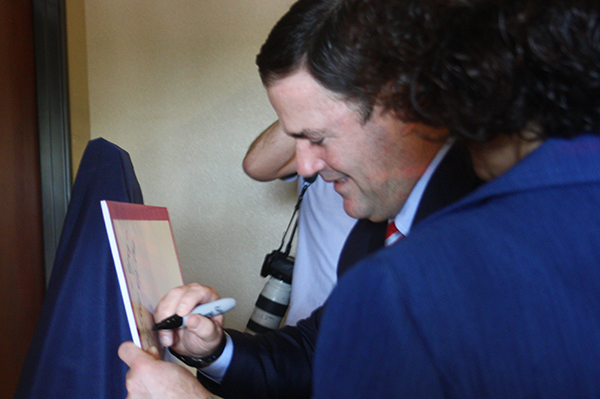 Ducey signed the order he hopes private insurance companies will also get behind. AZDHS further recommends patients take charge of their treatment when prescribed pain medications by discussing non-narcotic options and/or creating a path for exiting the pain management plan. Unfortunately, it’s not solely access to prescription opioids that has caused the spike in opioid related deaths. CDC also warns of combining opioids with benzodiazepines (BZDS) such as Xanax (alprazolam), Valium (diazepam), Ativan (loarazepam) and Klonopin (clonazepam). BZDS are estimated to play a role in 31 percent of opioid-related overdoes. For those using stronger forms of opioids, the increased availability of extremely powerful synthetic opiates is the second factor the AZDHS has identified as a cause to the increased number of overdose deaths. Legacy Traditional School in Maricopa was Gov. Doug Ducey’s first stop on his annual Back to School Tour. 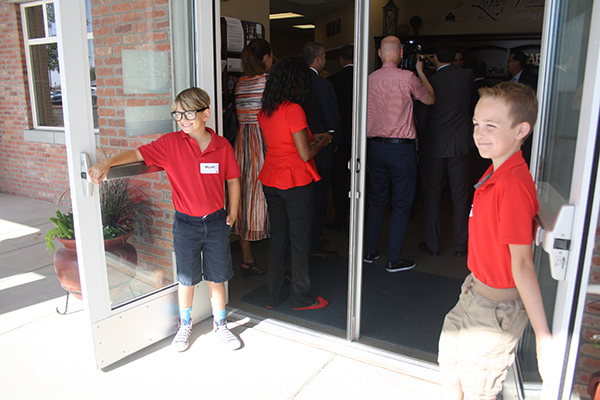 The governor arrived at the campus on Tuesday morning and was guided around the campus by school administrators, including new Principal Amy Sundeen and LTS executive directors. 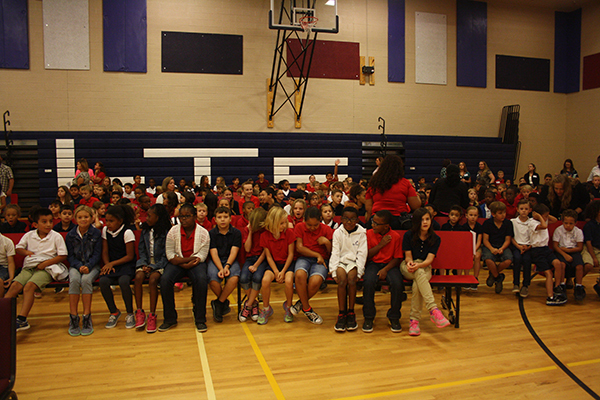 It is one of 12 Arizona schools in the Legacy charter organization.